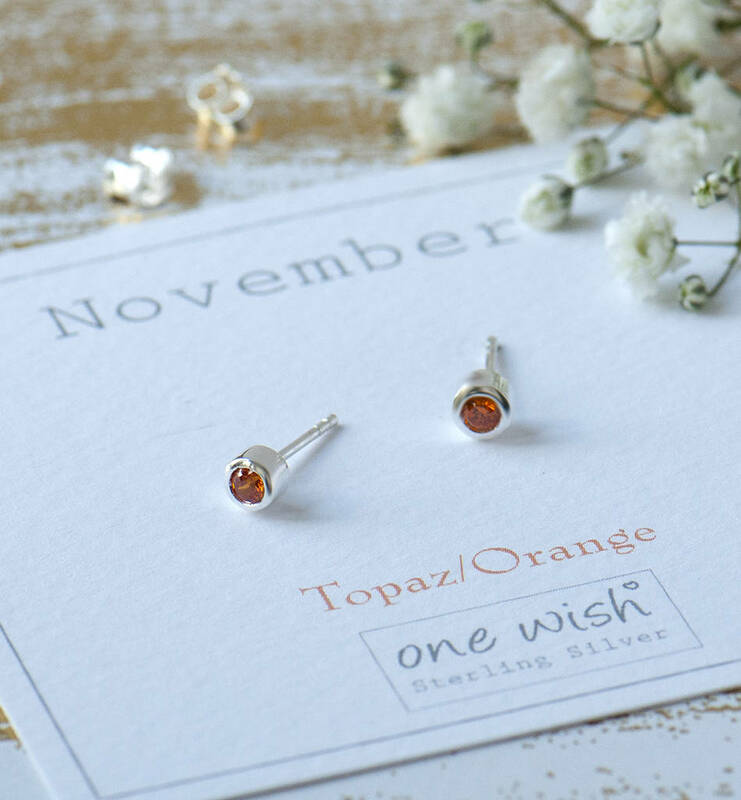 Cute little Sterling Silver april birthstone studs on our bespoke One Wish collection giftcard. 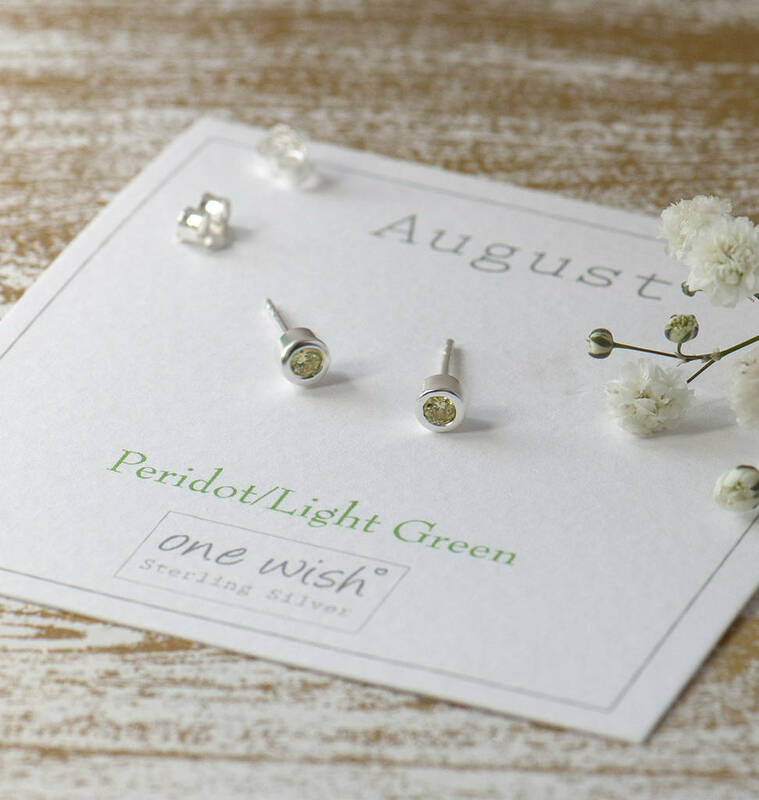 The Ideal birthday gift for friends, teens, neighbours and bridesmaids. 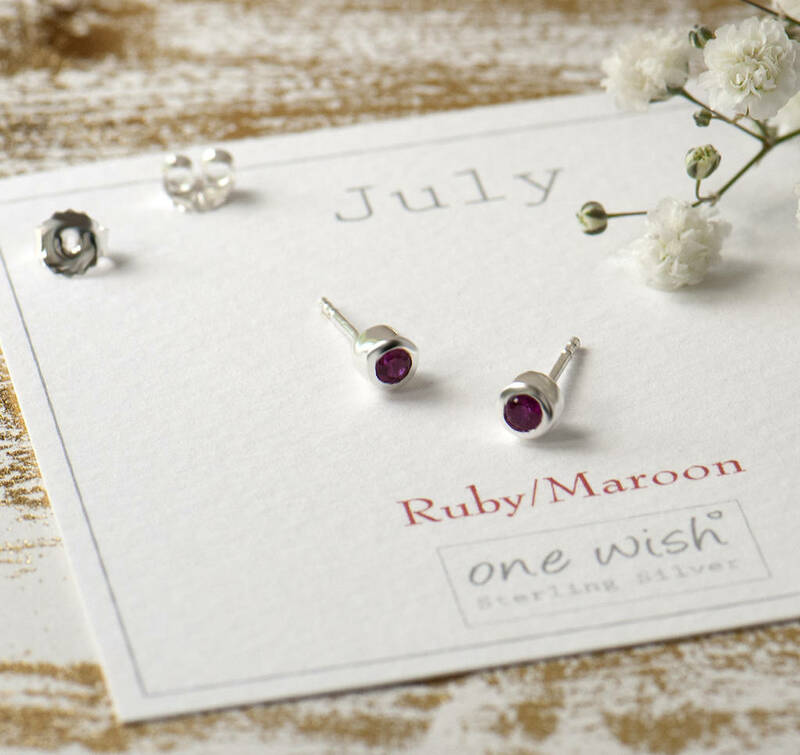 These little birthstone earrings are so cute. 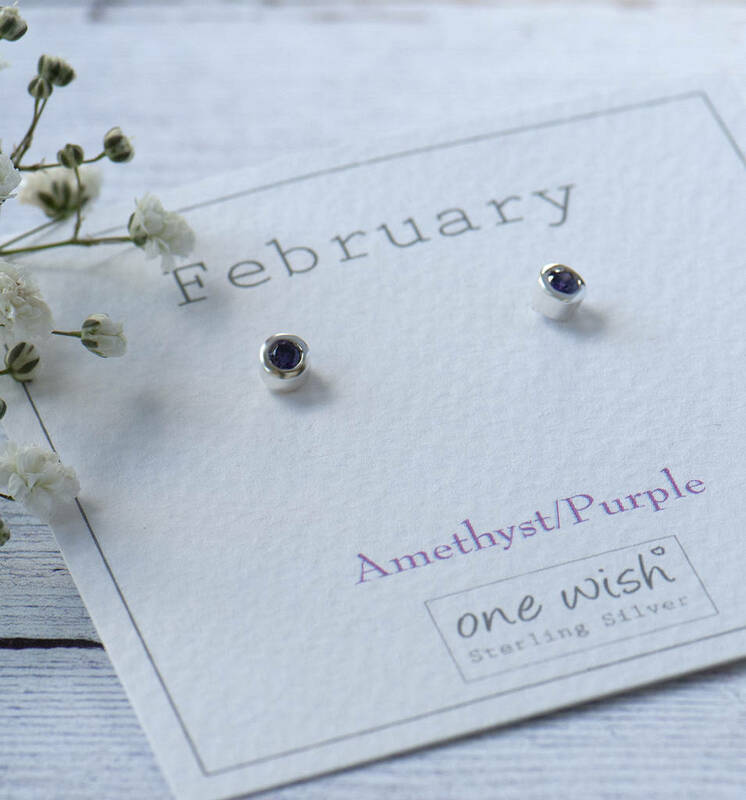 Made from beautifully coloured crystals in the appropriate colour for the birthmonth and set into a wonderful deep setting, they're finished with a high polished finish. 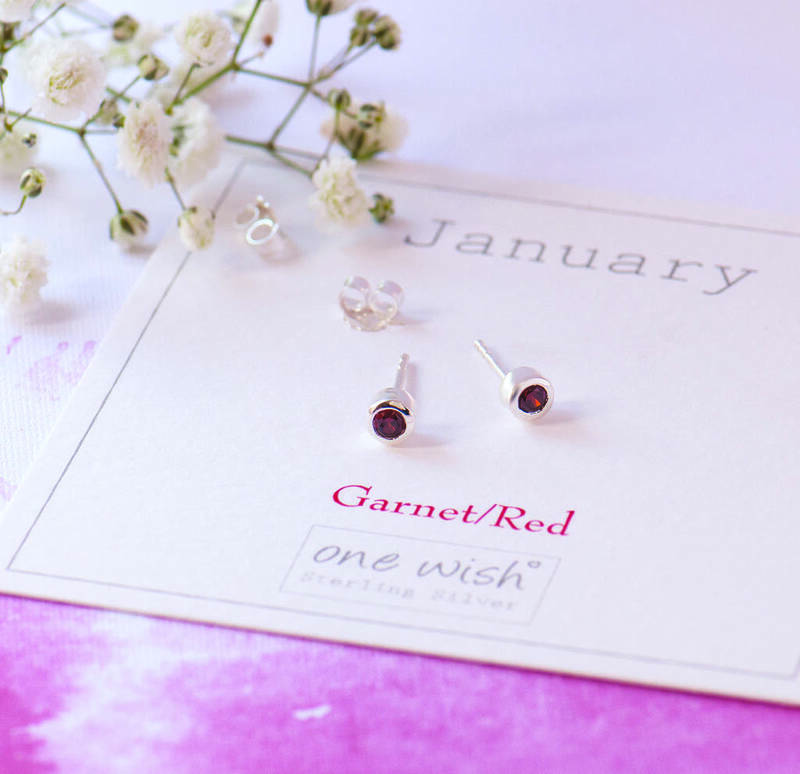 Perfect for everyday wear and a subtle and understated way to showcase your birthmonth. 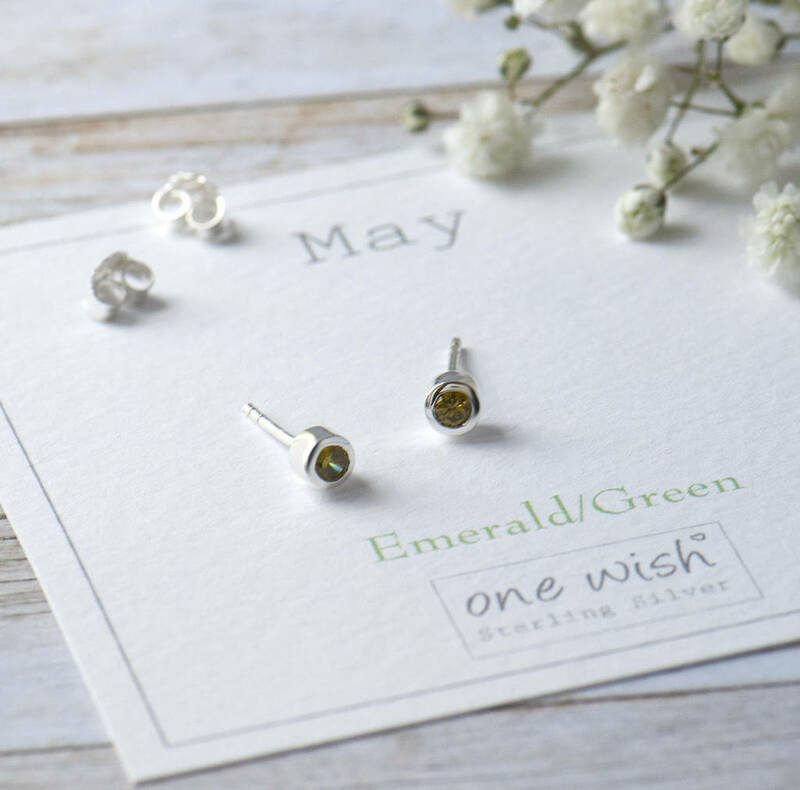 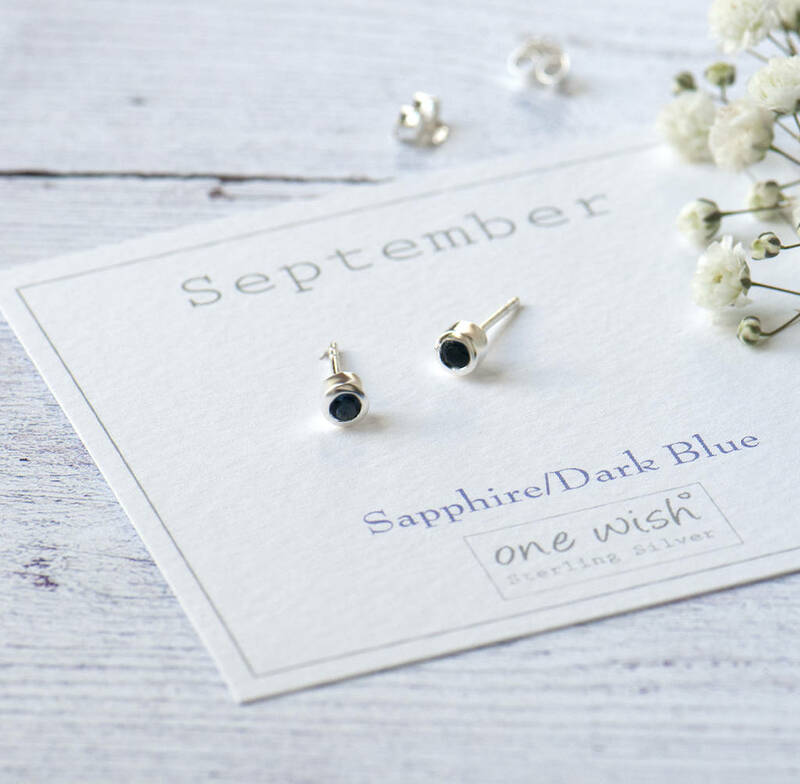 Your earrings will arrive beautifully packaged on our bespoke One Wish birthmonth gift card. 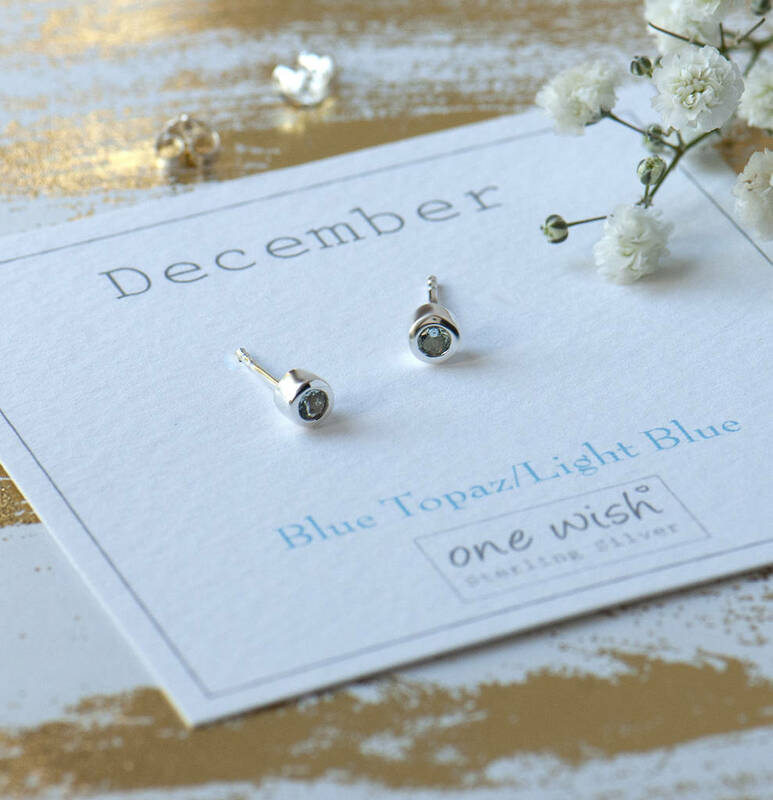 Your jewellery will arrive beautifully packaged in our bespoke One Wish envelope style jewellery gift box. 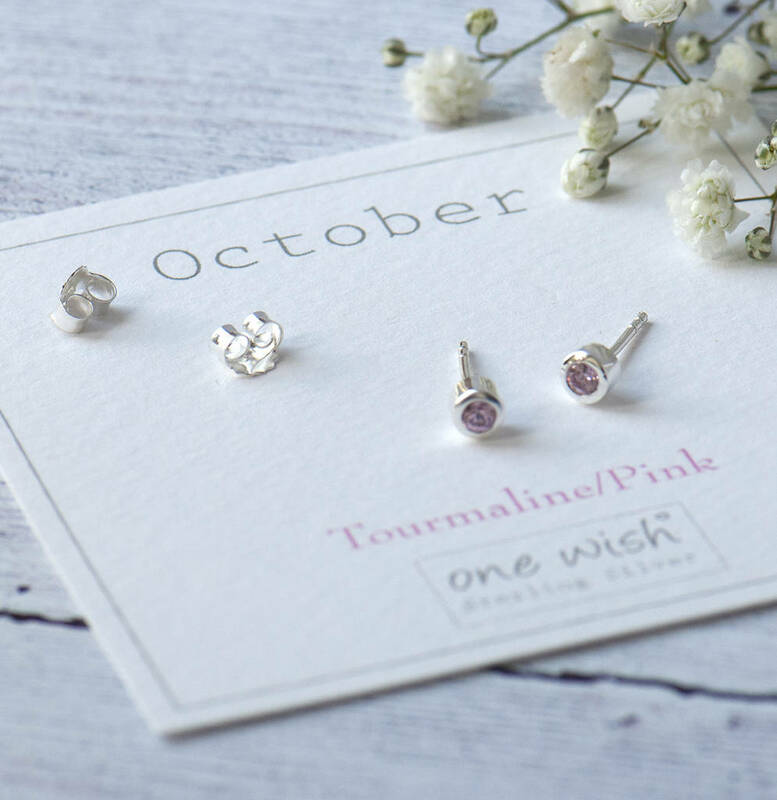 Please take care when wearing these gorgeous earrings. We do recommend polishing your jewellery with a jewellery polishing cloth to keep their shine. 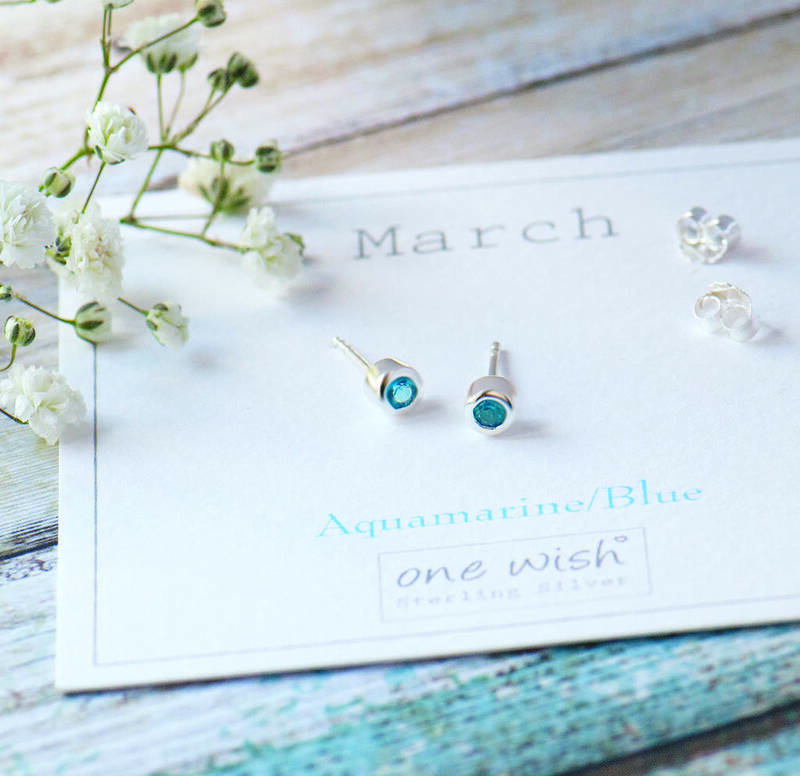 Please note that contact with household chemicals, chlorinated water, or any beauty lotions and sprays may cause corrosion and accelerate tarnishing. 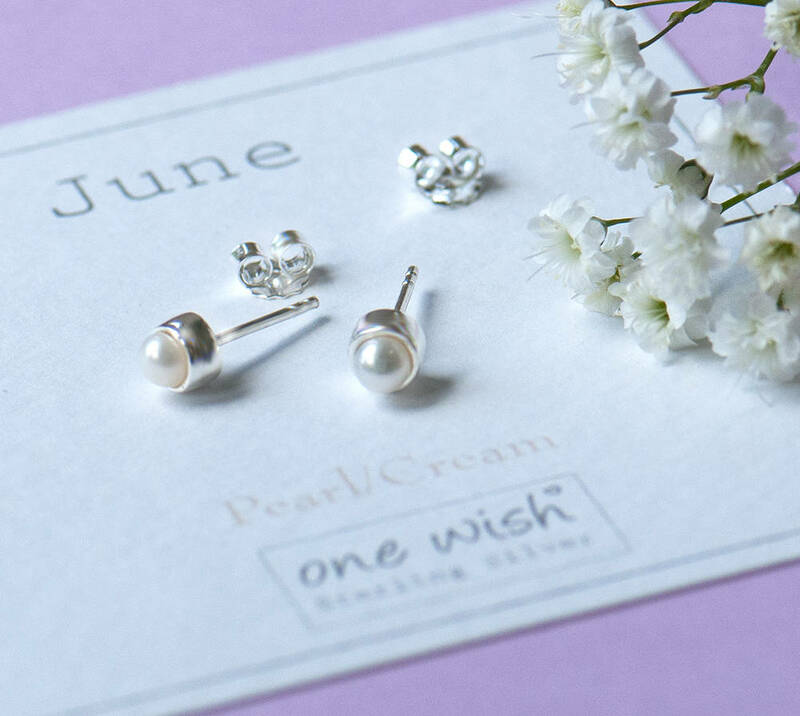 So it’s a good idea to remove silver jewellery when doing household chores and getting ready. 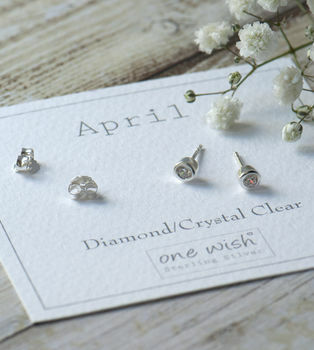 Your jewellery will arrive with a care card with the above information.